We moved!! Welcome To Our New Fixer Upper! We’re sharing some big news and giving you a full tour of our new fixer upper! I’ve got big news that I’ve been keeping a secret…we moved into a new home a couple of weeks ago!! We decided to keep the new house a secret, not because I don’t love you guys, but because I was a little skeptical if the closing was going to happen at all, so we decided to keep things under wraps until we were fully closed! And this isn’t the only secret we’ve been keeping…we’re so happy to announce that we’re adding a baby girl to our family in May! I had a rough 1st trimester full of daily sickness and exhaustion. I’ve been having a great 2nd trimester so far, but already starting to feel the aches and pains that come along with a big ‘ol belly…which is getting bigger much more quickly this 2nd time around. Well as you can imagine, the pregnancy is one of the reasons we starting looking at new homes. We were already starting to burst at the seams and run out space at our old house. I can’t imagine trying to welcome home a new baby there. 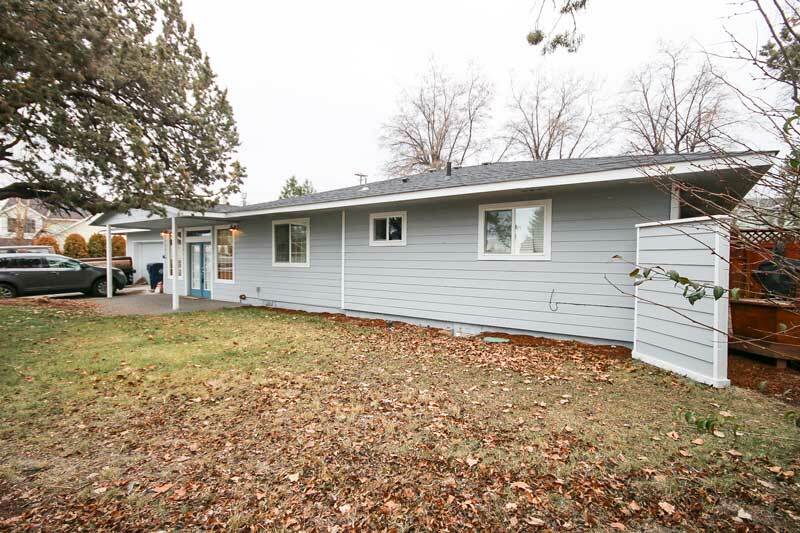 We weren’t sure we were going to be able to find something because the housing market is sort of crazy in Central Oregon right now, but we got lucky with a good deal on a new place with more space. To be honest, the whole thing happened extremely fast. 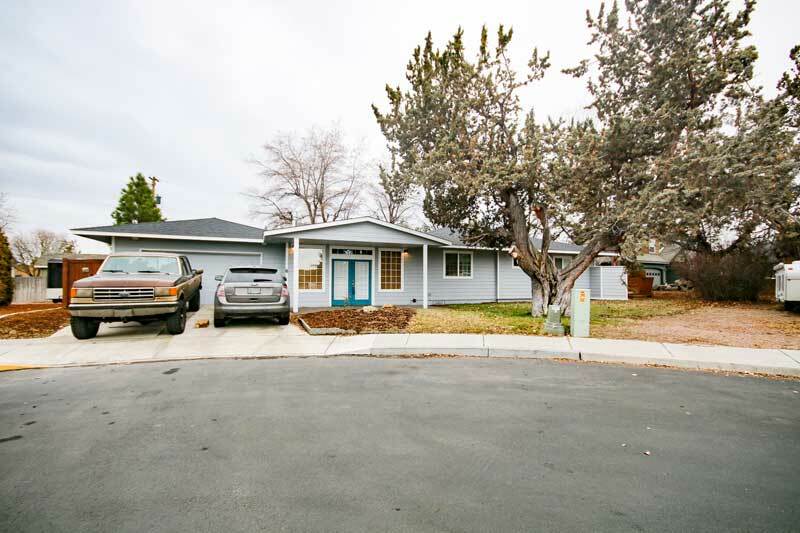 We looked at the house on a Tuesday at the end of November and were under contract by Friday, followed by a short 22 days and got the keys a couple days before Christmas. Talk about a whirlwind of a December. There were a lot of unknowns and variables during the entire closing process, which left me unsure feeling without knowing when or, even if, we were going to move. We certainly weren’t as prepared or organized during the moving process as I would have liked to have been. We tried to start packing early, but when it came down to it…I was wrapping more Christmas presents the week we closed than I was packing boxes. As crazy as it was, we survived! Thank heavens Logan’s family was already planning to be in town the week after Christmas because I’m not sure if we would have made it without our “moving crew”. It was a long week with lots of boxes and packing paper, but we’re in now and I can’t wait to share our new fixer upper with you!! 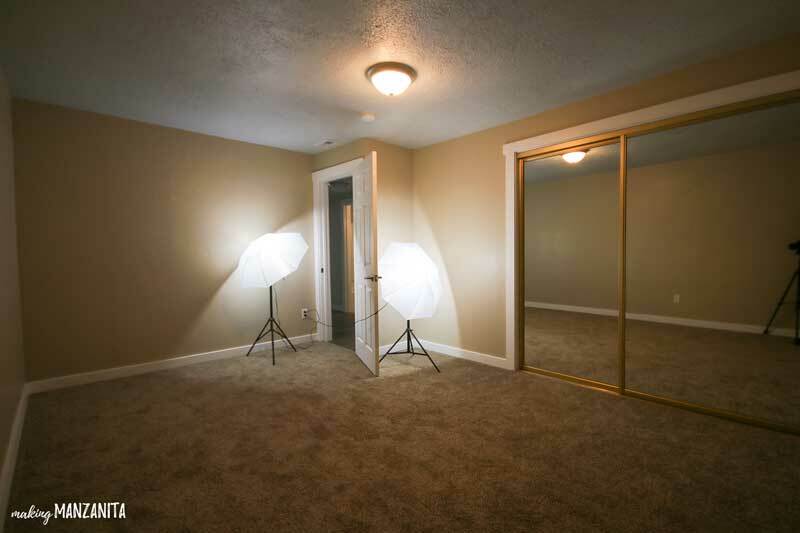 The best part about our new house is that it was MOVE IN READY. Meaning no more extreme renovating from day 1…or sleeping on a mattress in the living room for months while we renovated other rooms (which is what we had to do in our first home!). 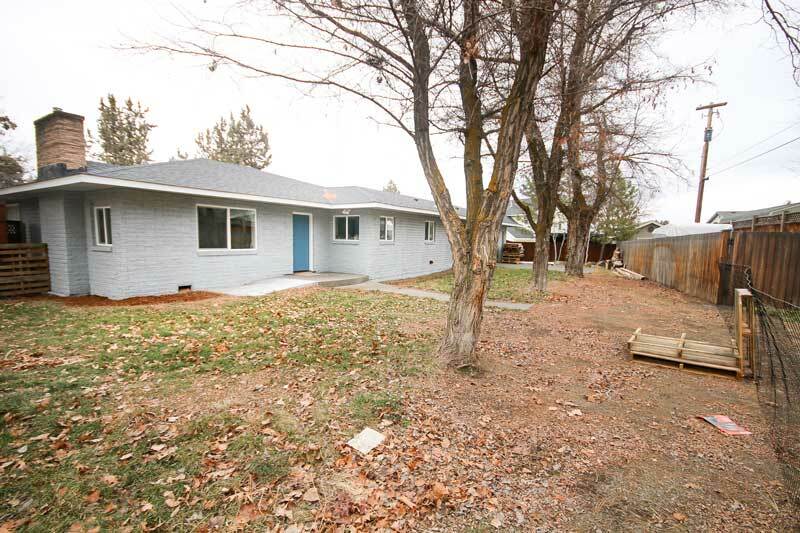 It’s a big difference from our first fixer upper, which we were in heavy renovating mode for over a year. We do, however, have big renovation plans for this house that we will implement over the next year or two (and share every step with you guys!). 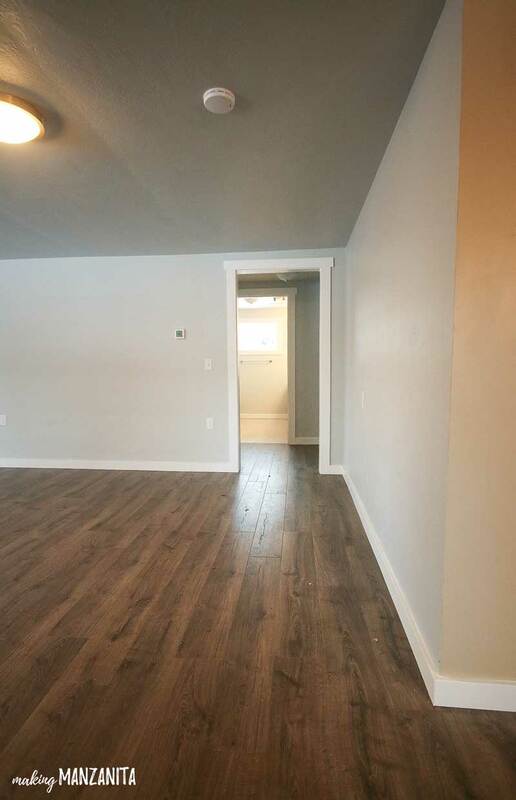 I’ll share some of our renovation plans with you as I show you the rooms below. 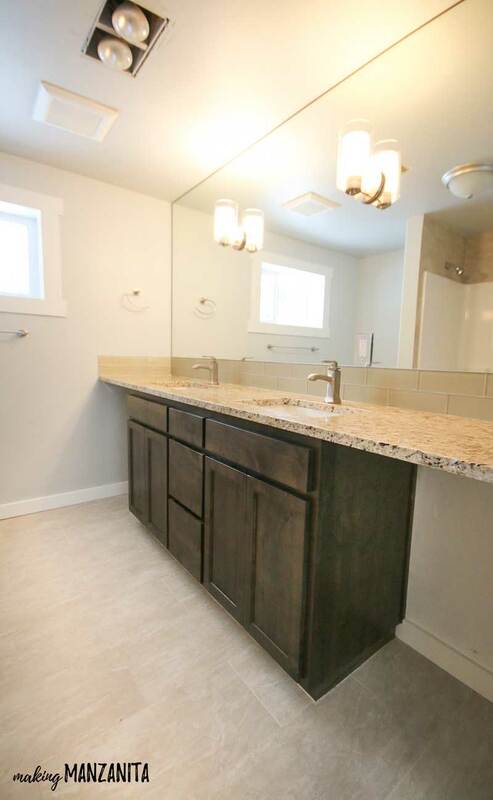 One thing to note is that we purchased the home from flippers, so there are a few things that are brand new to the home including…front door overhang, exterior paint, brand new kitchen, brand new main bathroom and new flooring and paint throughout the interiors. 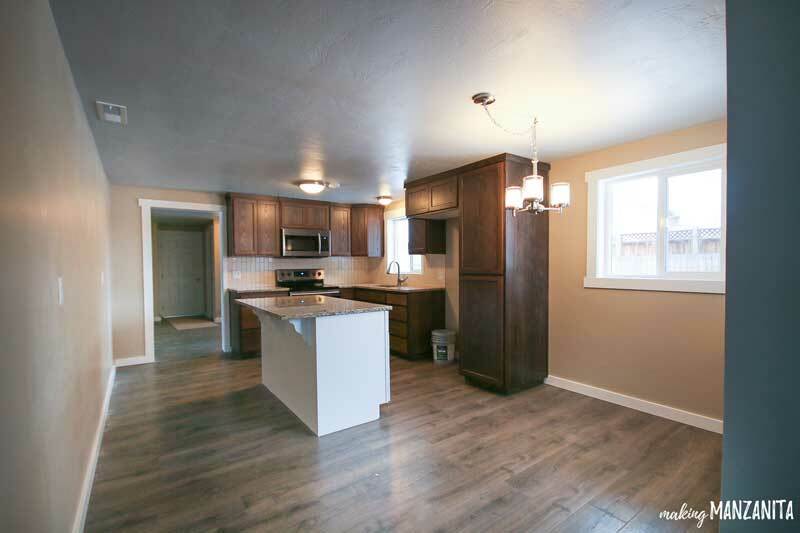 Whew…how was that for a long winded intro to this new home tour?! I’ve just been so excited to share it all of our news with you…I had a lot to share! If you’ve made it this far….congrats…but here’s your warning. 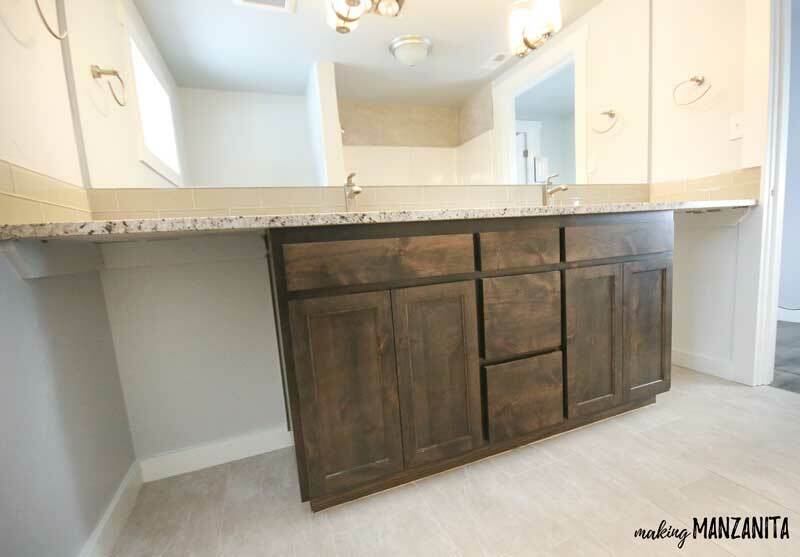 This is a LONG post and is full of tons of pictures and lots of renovation plans! Are you ready to see our new fixer upper?? Grab a cup of coffee and come on in!! The popped out entry was one thing that the flippers added and it really makes a big difference to the front elevation of the house. The house has good curb appeal. I’m so excited that I have a fun almost porch area to decorate ! What do you guys want to see first out here? A fun spring porch ?? Maybe it’s a good spot for our colorful upcycled bench?? 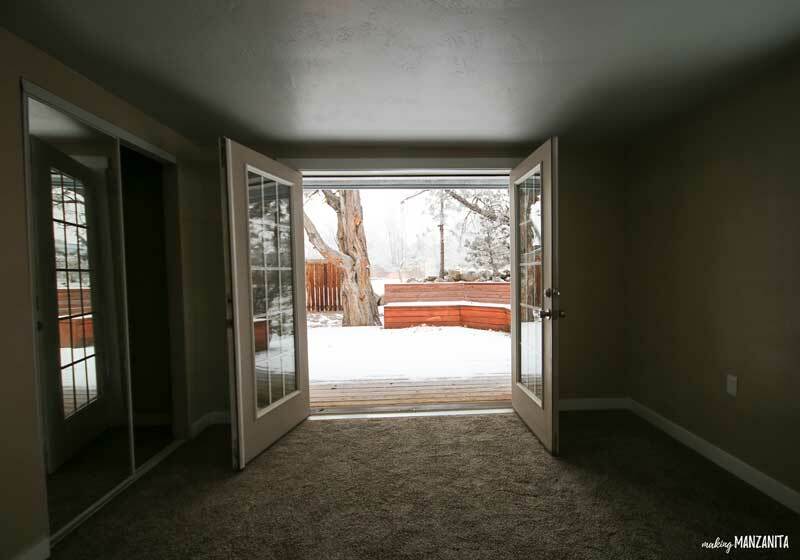 One of the more odd things about the home is that the front door opens up directly into the living room. We’re still getting used to it. To make a long story short, the home was originally built in 1961 and we believe that the back of the house was originally the front of the house. At some point as the city was developed, the back of the house was actually the street that was developed. 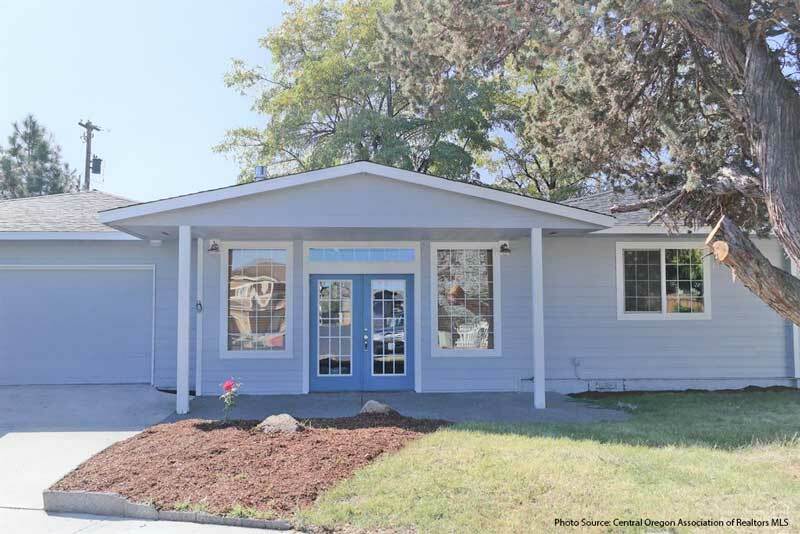 They needed to add a front door to the back of the house, so we think they converted the garage to a living room and added this front door. At least that is what we can gather and guess. 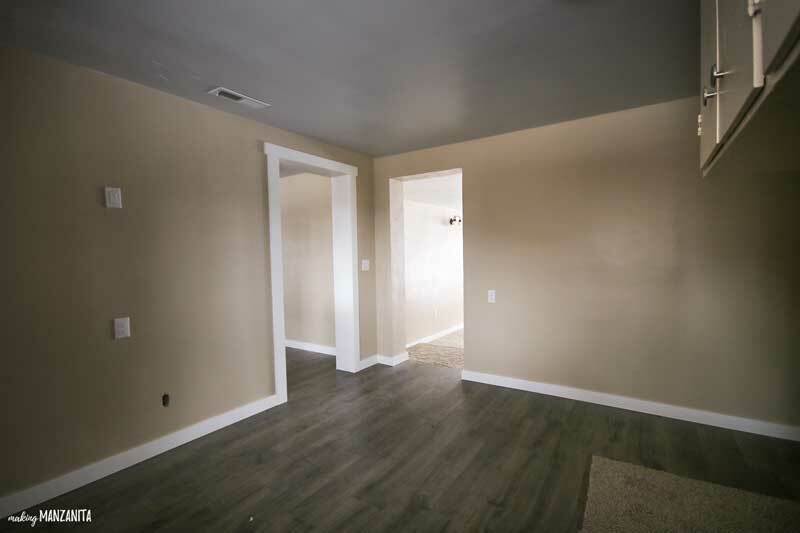 We love that this room is HUGE! So much room for activities!!! (…any Step Brothers fans out there??). 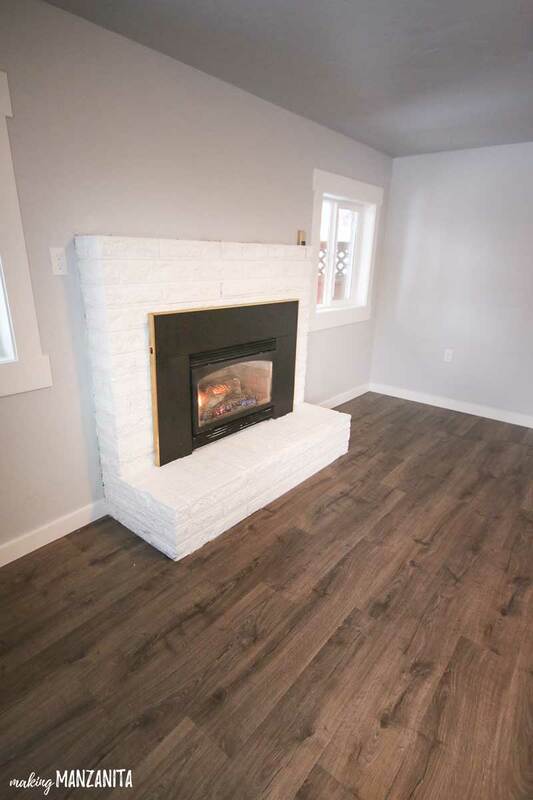 This room also stays nice and cozy with the fireplace. 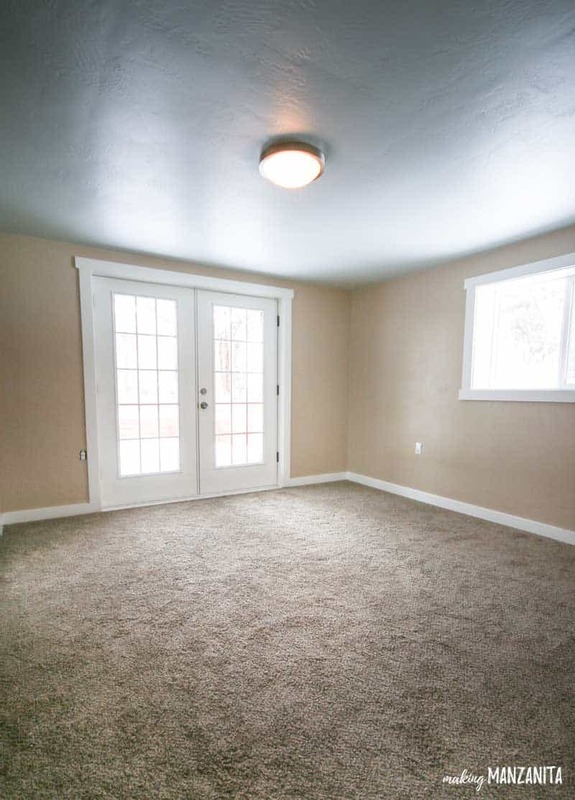 Another odd part of this room is the ceiling, which is actually an extra ceiling with ANOTHER drop ceiling above it. Who knows where the actual ceiling is. We haven’t been able to see it yet, but something we’re working on looking into more….once we can get access to our attic…that’s another story! Because of that however, the lights in here are on the walls instead of the ceiling. 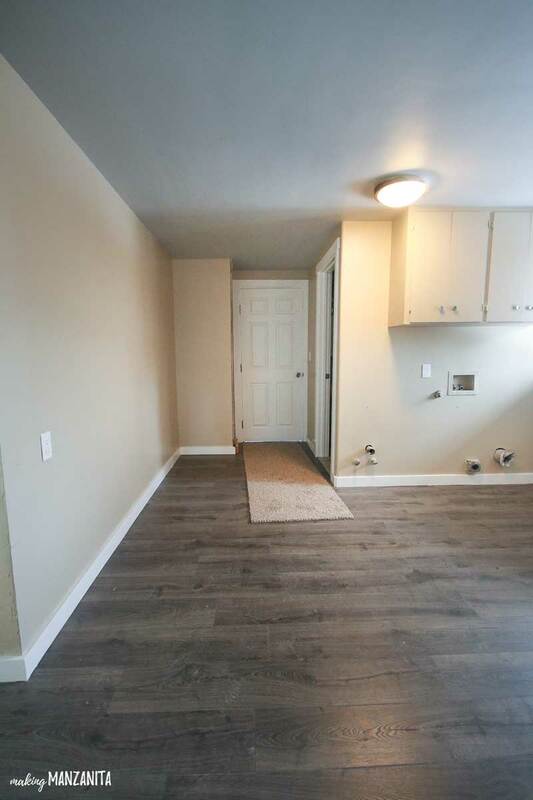 From the living room, you step up two steps to the laundry room area. I love this large laundry area! We only had a hallway laundry closet it our old home, so this feels ginormous to me! Eventually those storage cabinets will probably be replaced, but they work for now and are a great spot for cleaning supplies. 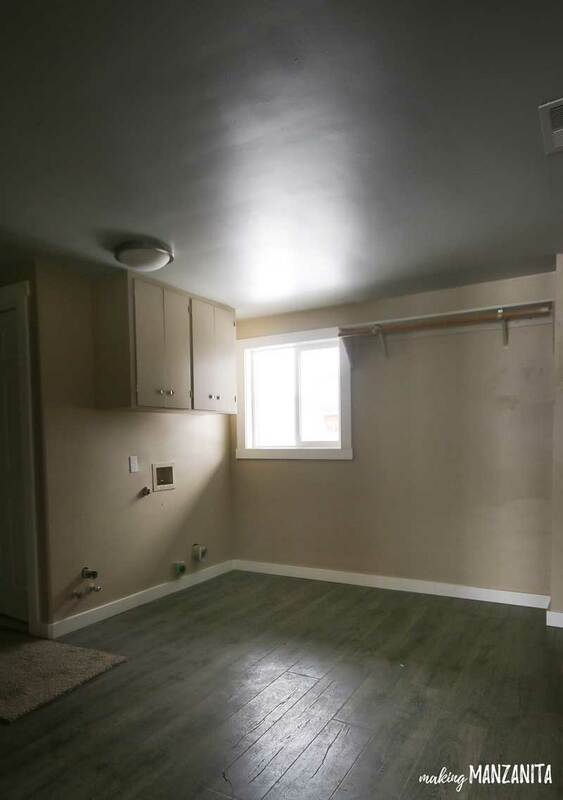 I plan on putting my ScrapBox in this room and using it as my DIY area. 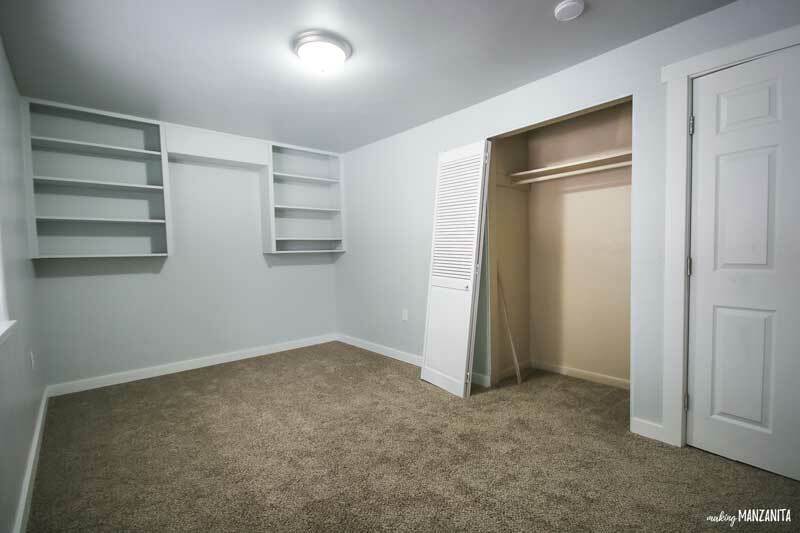 On this long wall, I’m thinking of adding built in mud room type storage with hooks for backpacks, coats and shoe storage. Not sure when we will actually get to this project, but it will be fun! Opening on the right steps down into Living Room. Opening on left goes into Kitchen. This is the door to the garage. 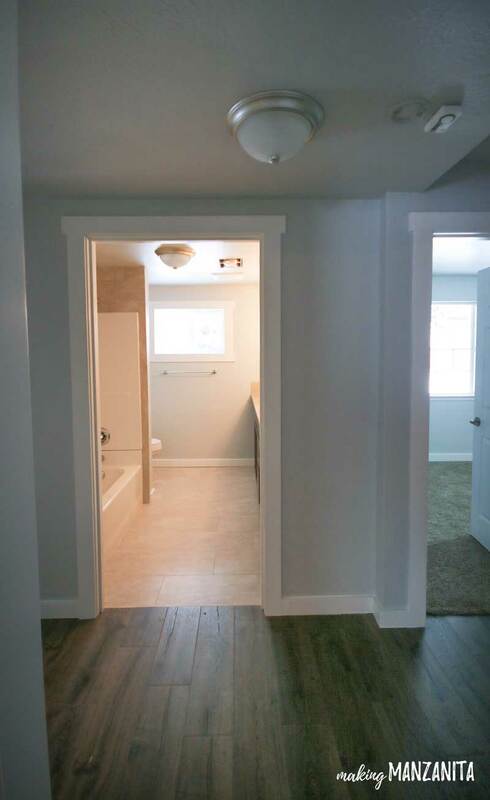 The door on the right leads you to the back bathroom. 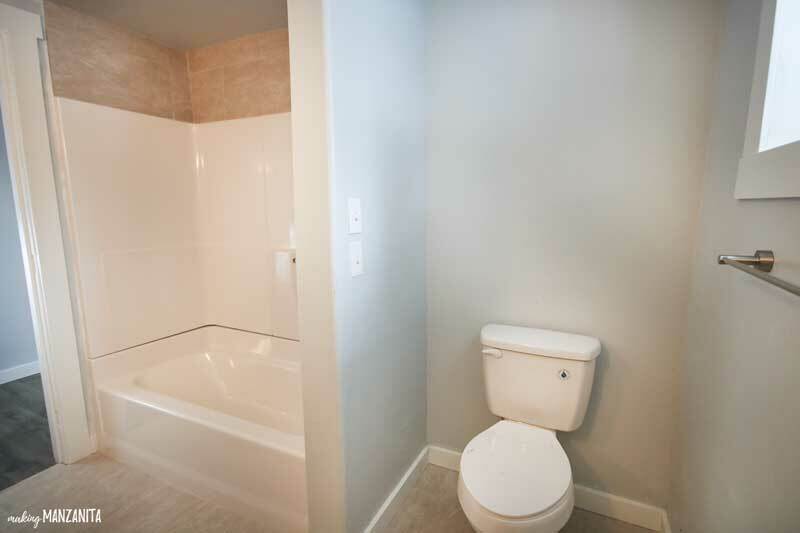 This is a very small bathroom, but it serves its purpose. 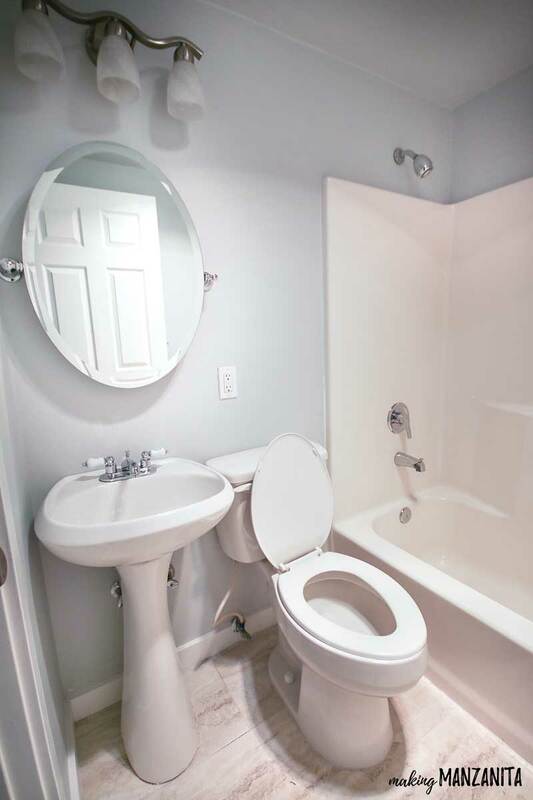 It is our 2nd bathroom in house, but it’s a little strange because it’s at the complete opposite end of the house as the bedrooms…so it is a little unusable as a bathroom for any of us long term….which is a problem that we’re going to fix. I’ll explain more later in this post. 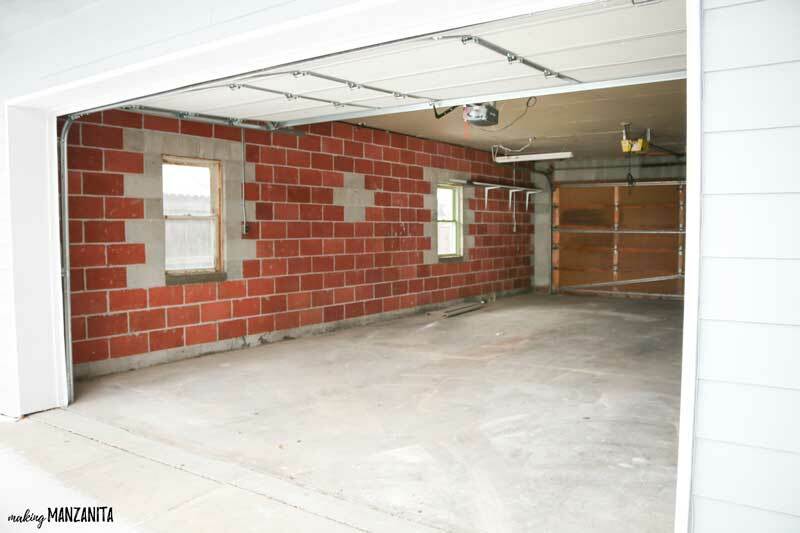 This garage is so strange! It’s a tandem garage! Have you ever seen such a thing?!? I hadn’t. 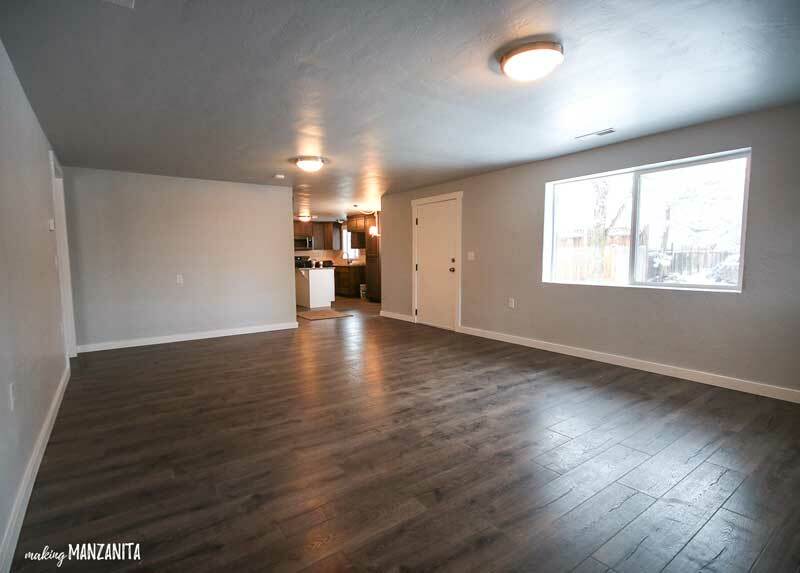 We think that when they flipped the back of the house to the front of the house and converted their existing garage to the living room, they added on this 4-car (YES YOU READ THAT RIGHT!) tandem garage. 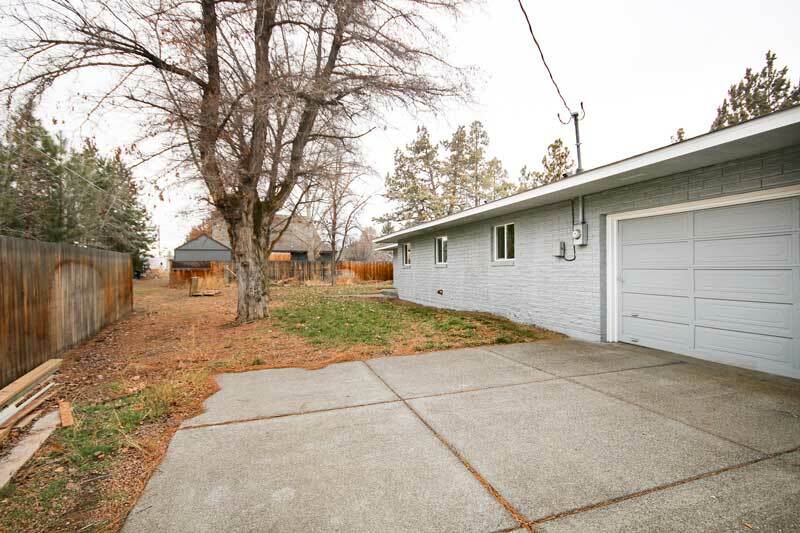 There are concrete aprons on both the front side and back side of the garage, allowing you to pull all the way through to the backyard (and then could exit through the alley way in the back). Can’t wait to get shelving up in the garage and have a place to store and work. 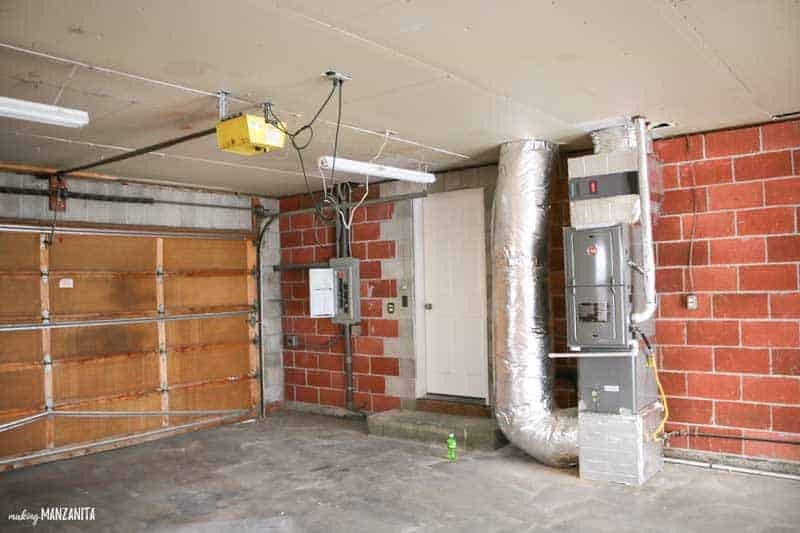 Logan’s pretty excited about all of the extra garage space. 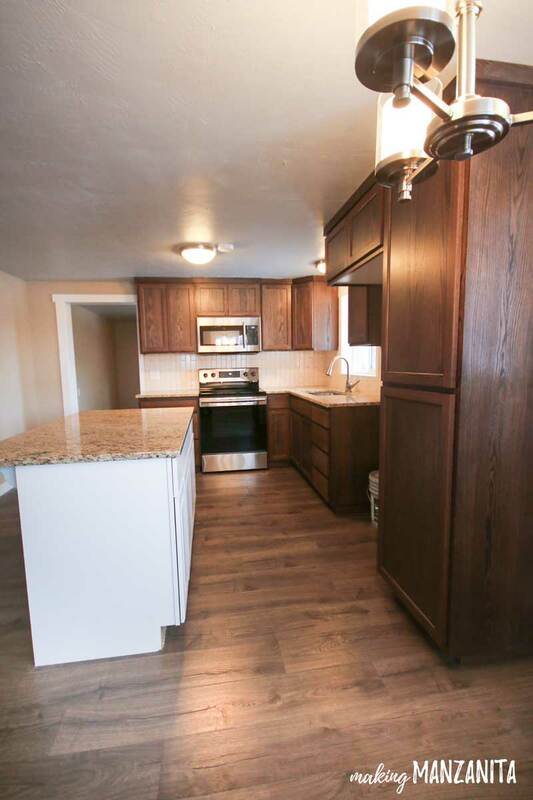 One of the more impressive spaces of the new house is the kitchen, which is all brand spankin’ new. The old kitchen was completely gutted by the previous flippers. I love the big island in the middle of the kitchen. It is, however, a little short on space. We’re going to be adding some creative storage solutions in here. Initially, we will be adding plugs to the counter top area, adding hardware to the cabinets (UPDATE: check out our new hardware), replacing the backsplash while we’re at it (ditching the tan for white subway tile with hopes to bring a little more farmhouse style to the kitchen), installing a garbage disposal and adding a dishwasher to the island. Looking from the breakfast nook out, here’s the 2nd living room. This room is the 2nd living room…or maybe what I should call the original living room. Remember the back of the house used to be the front of the house?? We think this was the living room before the garage was converted to the existing living room. The vision for this room is kind of confusing since it will be completely changing, but I will do my best to explain it here. 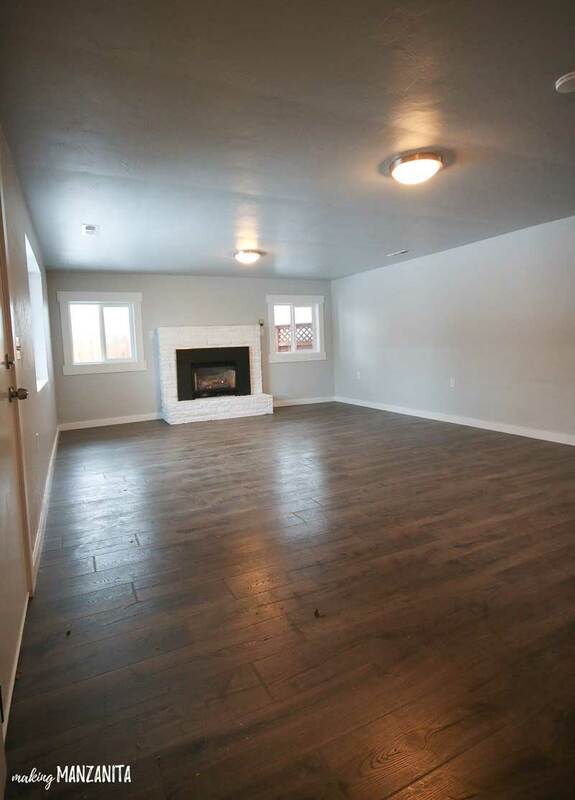 This living room won’t stay a living room for long. Our first renovation project will be putting up walls here to create a bedroom for our new little one. We will, unfortunately, have to get rid of that fireplace as a part of the renovation. The room will be too small to keep it and I don’t love the idea of having a fireplace in a kid’s bedroom anyway. 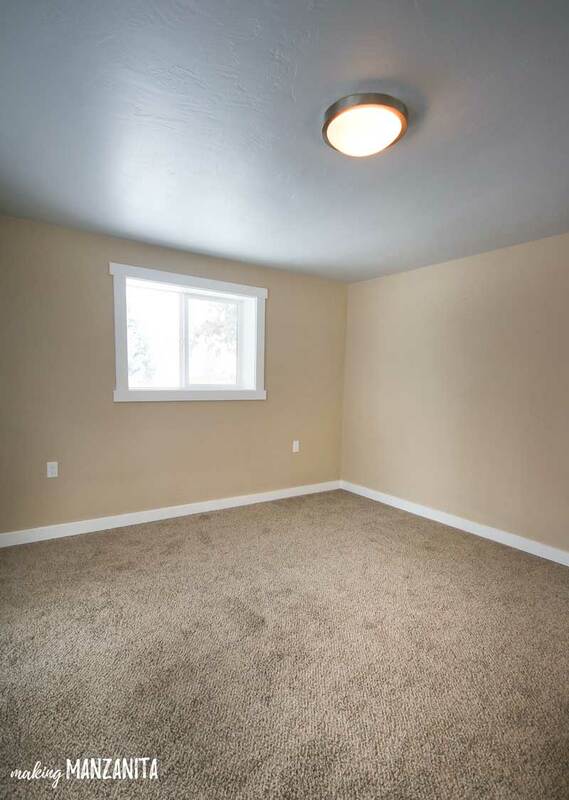 On the other side of this wall to the right of the fireplace is the master bedroom, which you will see has a very small closet. 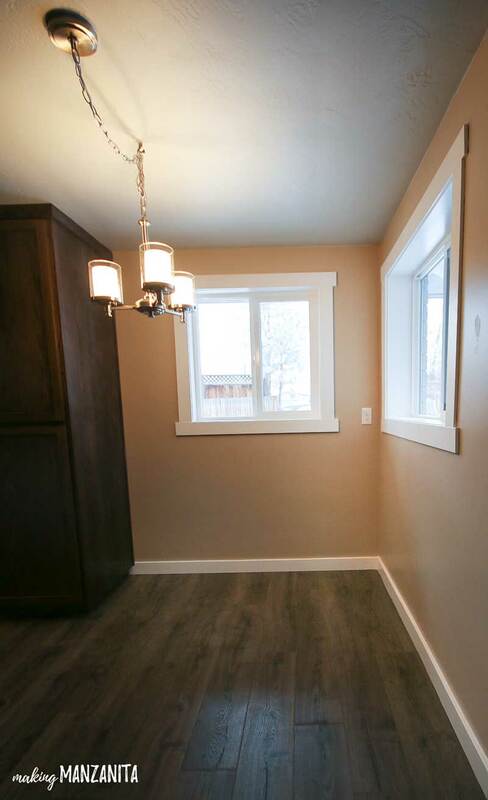 So in the back right corner of this room (where that window is), we will be building out a new walk-in closet with plenty of storage. In front of the new master closet and along that same wall, we’re adding a new bathroom! This is probably going to be the most challenging and fun renovation that we’ve ever done. It’s not happening anytime soon, but it will happen! 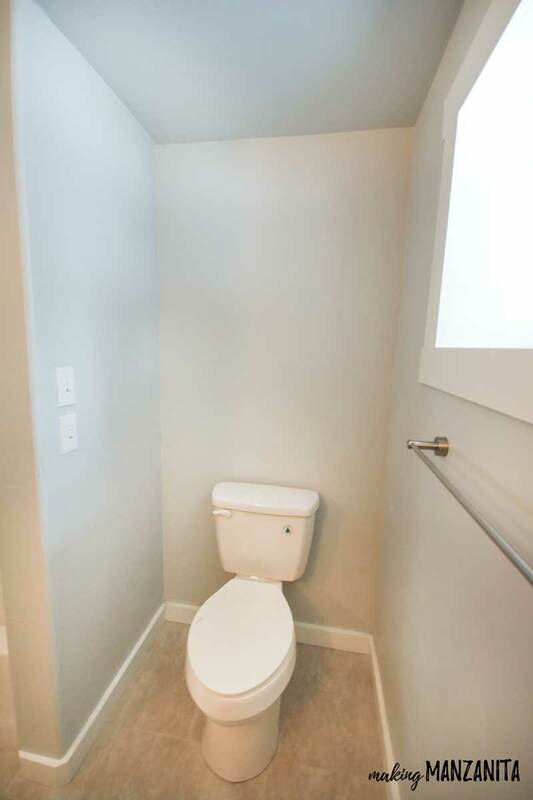 The new bathroom will be for the kids to use. 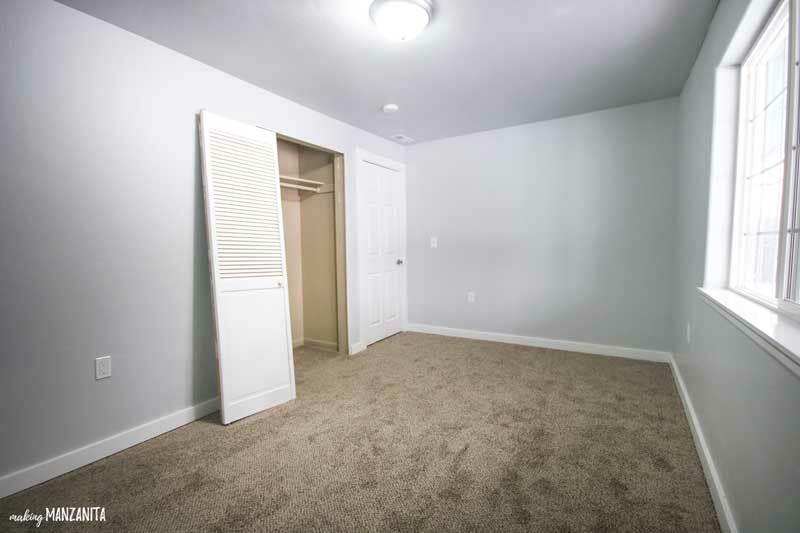 To recap, the new bedroom will take up the left portion of the room and on the right side of the room will be a walk-in master closet and a new bathroom. 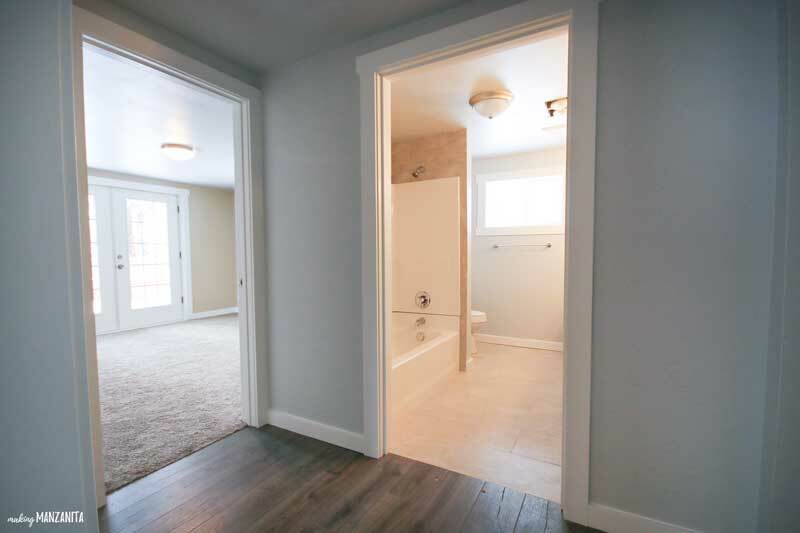 When you turn to the right, you get this view…which is a little hallway that leads to the main bathroom and all of the bedrooms. First up, we’ll step into Cal’s bedroom. This is a good size bedroom and definitely a lot bigger than his old rustic woodland nursery. I’m guessing that this room was maybe used as an office previously, which would explain the wall of shelves. 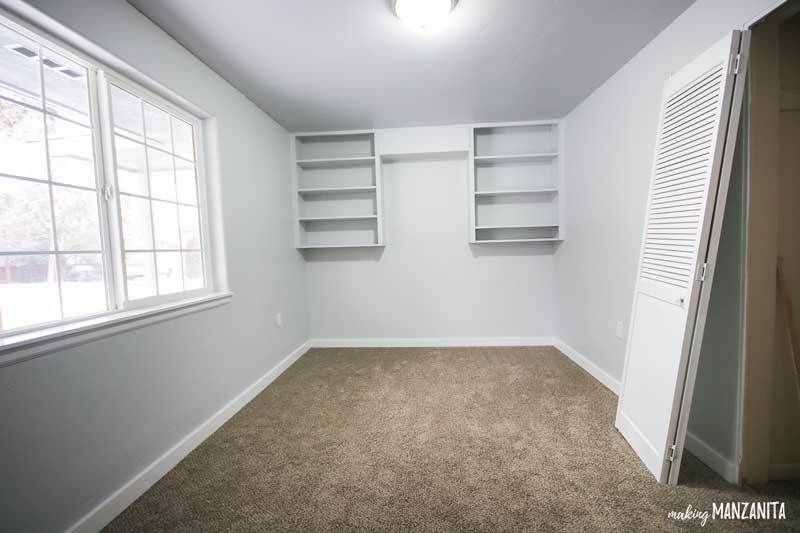 However, we’re going to eventually turn that wall of shelves into Cal’s closet…pretty easy to throw up some closet rods there and add doors. Already started dreaming of some fun closet door designs. I’m thinking a dark navy color! This will allow us to use the original closet in here for additional hallway storage, which we have NONE of now. 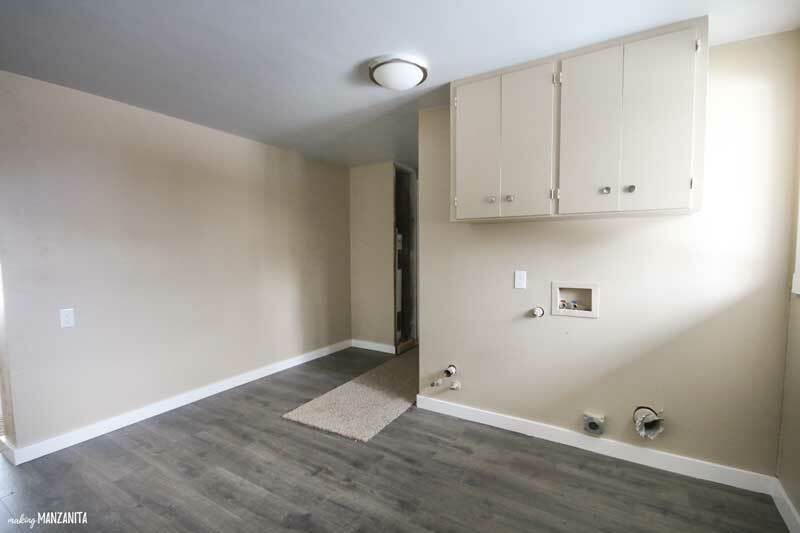 One of the things that we didn’t love about the home was that there was no open concept, specifically how closed off the kitchen and living room are from one another. Our plan is to blow out the 2 of the walls in this room and open it up to the kitchen and to the living room. 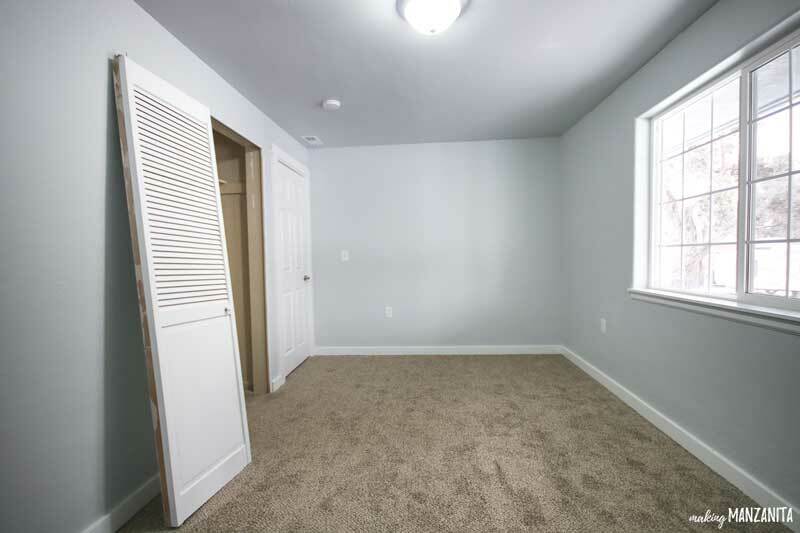 Then this room will be a nice, big dining room where we can put a big pretty farmhouse table and lots of extra storage. This will create a line of sight from the kitchen to living room, which will make a HUGE difference for the living spaces. 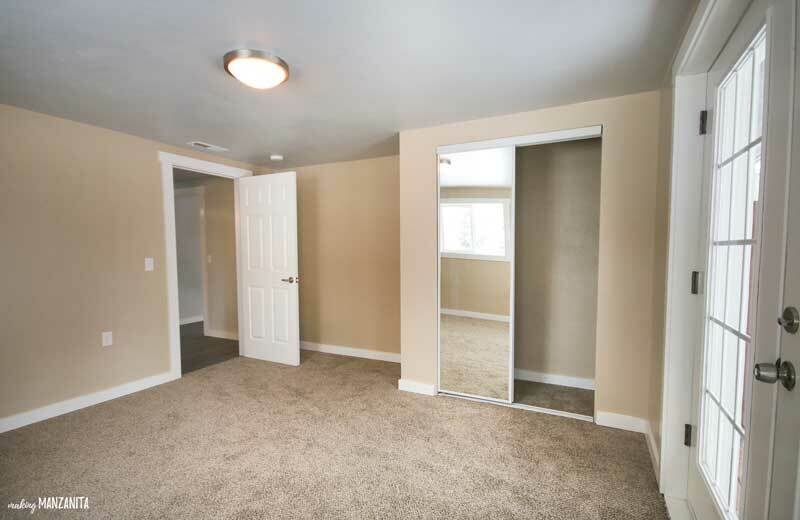 When you step out of this 3rd bedroom, you’re back in that small hallway and can hop over to the main bathroom. Right now this is the only bathroom on this end of the house, which is fine for now. 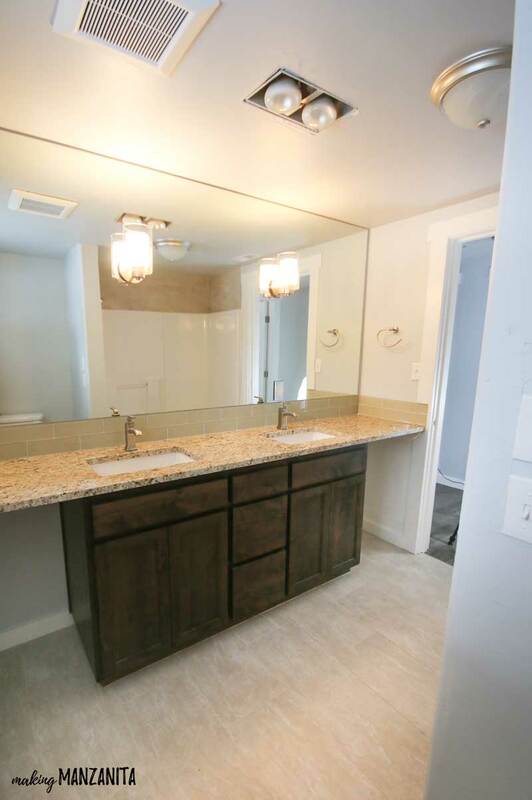 I love that we have a double vanity and a lot more space and storage than our farmhouse master bathroom in our old house. 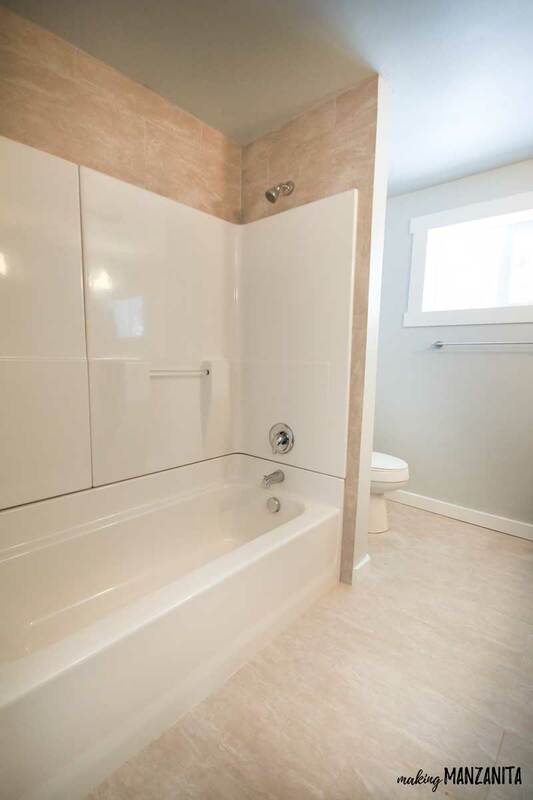 Our plan in here is to eventually turn this into a master bathroom and make our bedroom an en-suite, which will definitely add a lot of value to our home. Once we get the extra bathroom built over in the space where the 2nd living room is now, we will close off the door to this bathroom from the hallway, change the bathtub to a stand up shower for some extra room, shift the toilet over towards the shower and add a door to the master bedroom (which is on the other side of the wall where the toilet/shower are now). 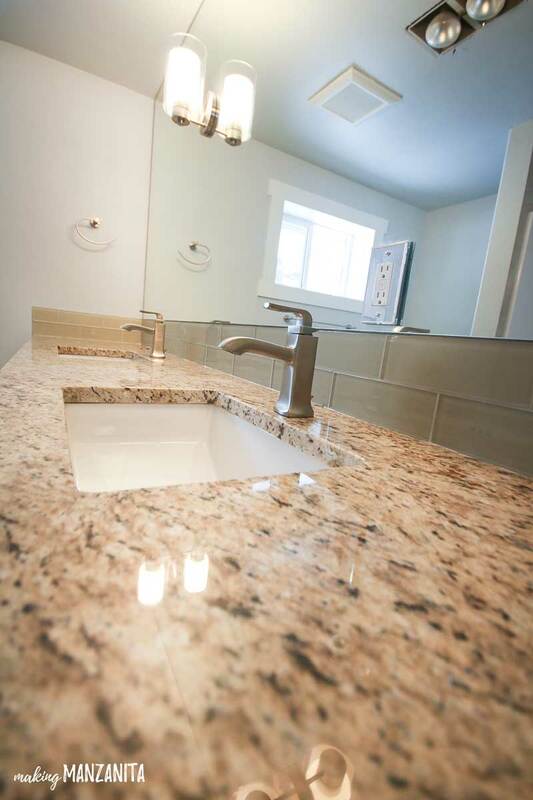 We also plan to fix the odd openings under the vanity countertop on each side. 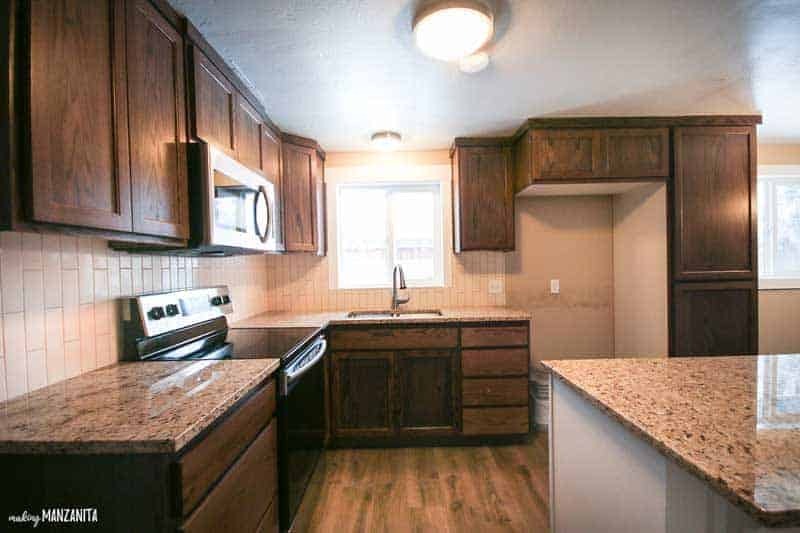 Since the cabinets don’t go all the way to each wall, it looks a little weird to have those large openings. We will be adding open shelves to each side to make it look more natural and meant to be. 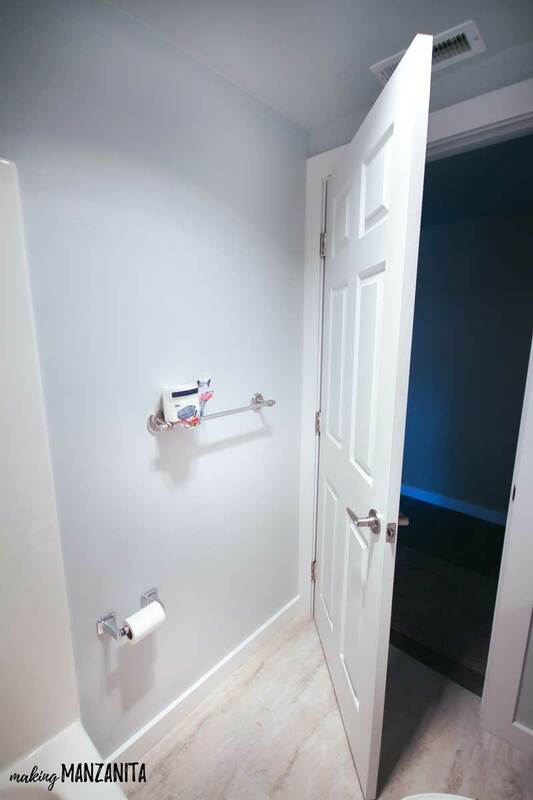 This will also get us spots to store extra towels and bathroom things in baskets. 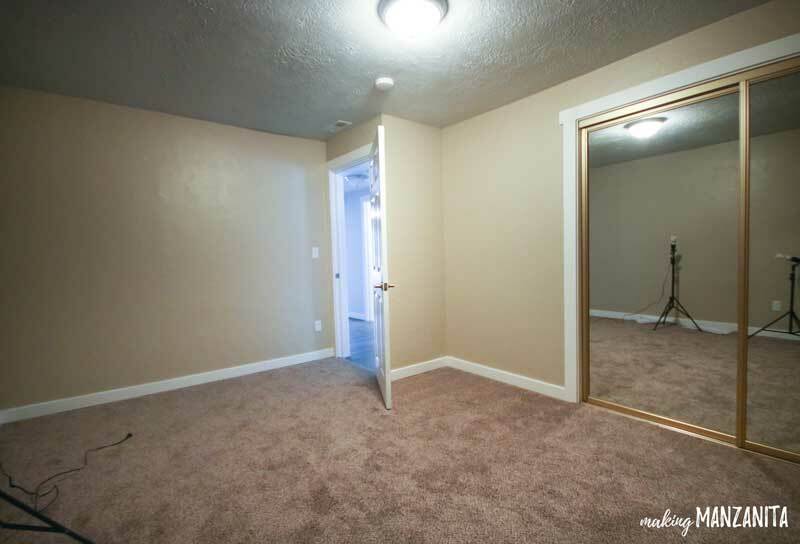 When you’re back in the little hallway, the master bedroom is on the left. This room is also serving as my work area/office, since I work from home. I love that there’s more room in this master bedroom in comparison to our old house. I love the french doors in our master bedroom. 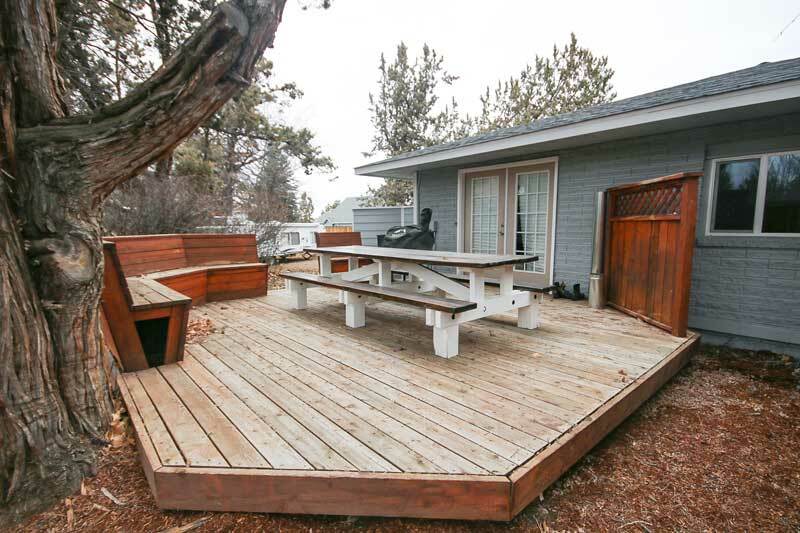 They open up to a large deck that will be awesome when summer rolls around. 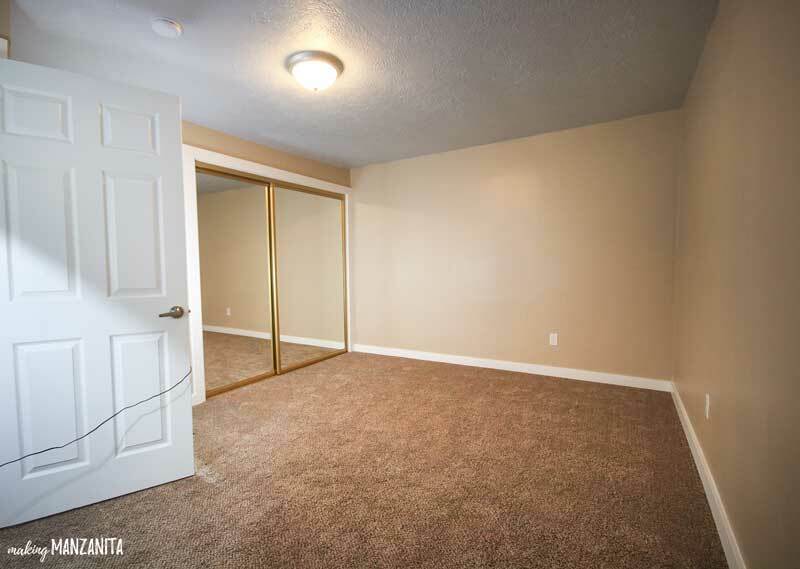 Besides painting, the only thing we plan on doing in the master bedroom is getting rid of this tiny closet and adding a larger walk-in closet (which will go into area behind the wall, which is the 2nd living room now). Love this deck off of our master bedroom just beyond the french doors. My father-in-law, hubby and brother built me this AWESOME farmhouse outdoor table last summer and is perfect here. As you can see, the wood on the deck is definitely in need of some love. Stay tuned for more info on how we’re going to treat this wood deck this Spring when the weather warms up! We plan to add a fence to this portion of the yard so we’ll have some extra privacy on the deck and into our master bedroom. Right now, people can see right into our bedroom through these french doors, so the blinds stay down most of the time for now! 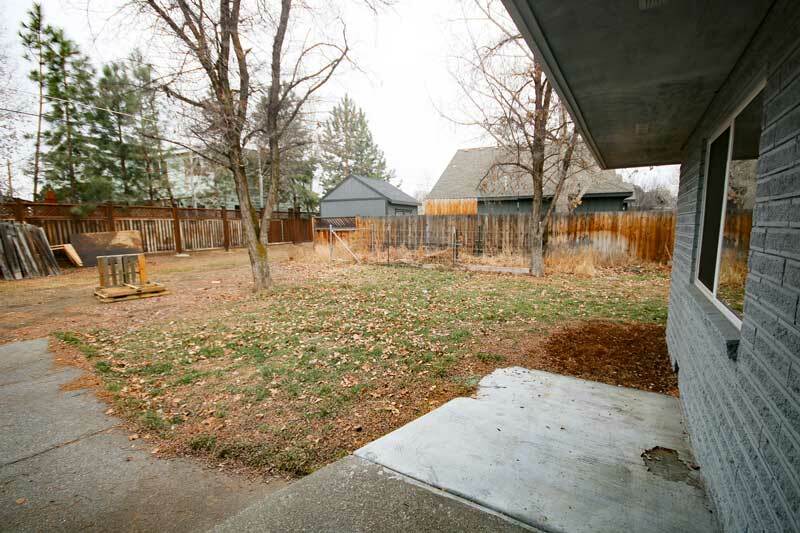 Although the backyard is not quite as expansive as our old house, the lot is still about the same size…but instead of the land being in one spot on the lot, it wraps around the entire house. Although the backyard isn’t huge, it’s got plenty of room for Gannon, our dog, to run around. It even has a little garden area already fenced off. It, obviously, needs some help before anything can be grown there, but hopefully we can get it cleaned up by Spring this year (or….let’s be honest, maybe next year). We do plan on adding a fence in the backyard once the weather warms up and the ground unfreezes. For now, we just put up cheap wire fencing to keep Gannon contained. If you’re still here, you should seriously win a gold metal or something. This is the longest post ever!! I’m so glad that you are as interested in our new fixer upper as I am. As you can imagine, this fixer upper is going to keep us pretty busy over the next couple years. 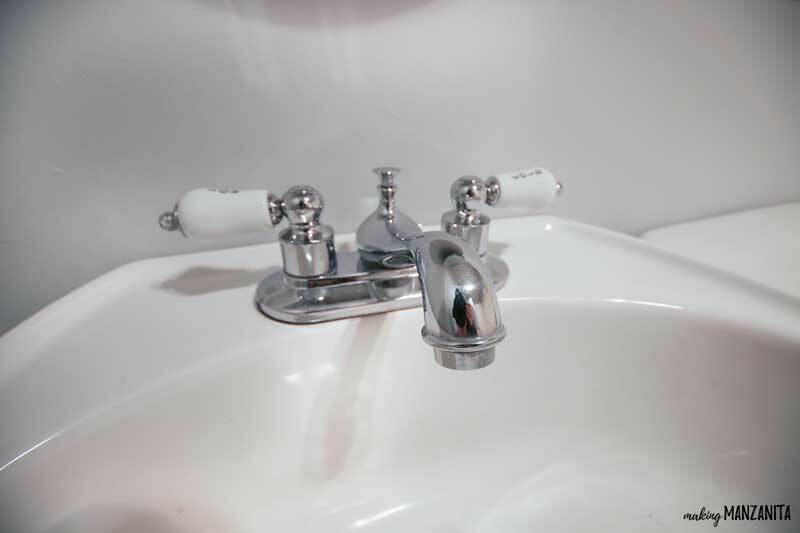 I’ll be sharing our renovation every step of the way with you. Thanks so much for your following along friends!! What do you think of our new fixer upper?? Do you have any good ideas or suggestions??? What a great house! I can’t wait to see what you do with it! Chelsey, it is going to be absolutely beautiful when you get it finished. So happy “with” you. Keep up the good work and you will soon have a very nice, serviceable home for you and your family. Love you. Hugs. Very cool…not sure where you got this crazy part of your personality that doesn’t let you stop…oh, ya, I guess I do….sorry you inherited that gene. I will enjoy watching the project. Maybe I’ll even get to help? Love you. Congratulations Chelsea on both the new house and the baby! 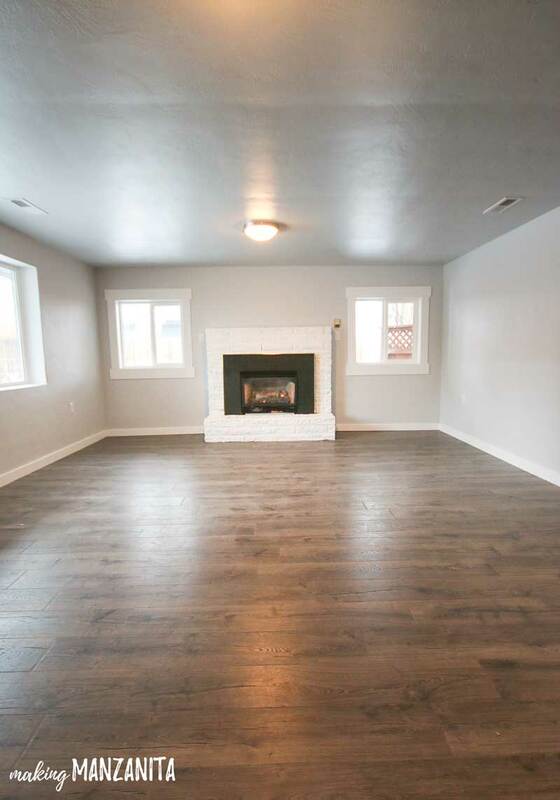 I love the house, it looks like it has lots of character and I love those floors!! Chels!!! Love the House, but most of all, love that another little one is joining your team! Congrats on everything! Hi Hon…..it’s your Grammie here! Thought I would mention how much we LOVE LOVE LOVE our skylites. You might want to consider one or even 2 of those in the room with no windows. 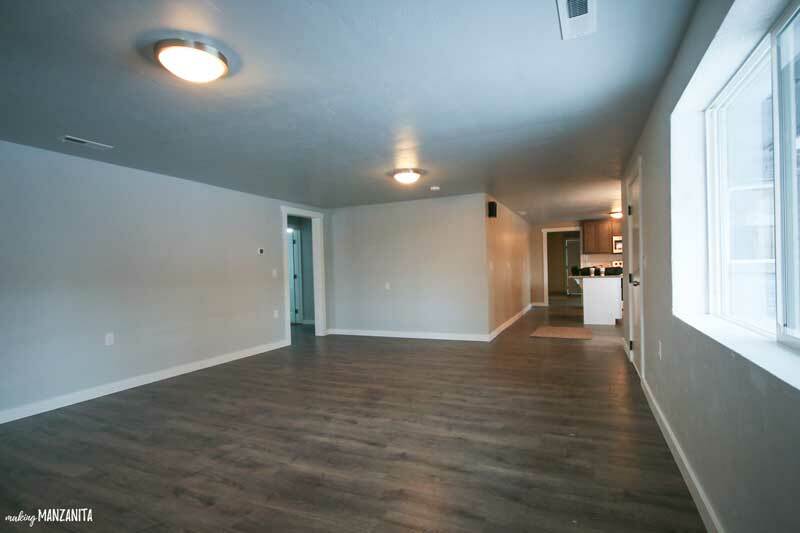 Remember how dark our liv rm used to be?….. so we added 2 in that room and they’ve made a huge difference. We added one over my work area in the kitchen…one in our back bathroom and one in the laundry room area. Actually ours aren’t even the full skylites we just have the large size sky tubes (think that’s what they are called.) We absolutely love them and would have even more of them if we were building again. 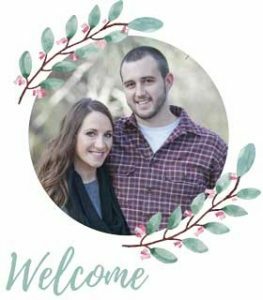 Anxious to see you -and the new little princess -and our precious little “Great Grandson” Cal -and Logan -and the new house in May! LOVE your new fixer upper! 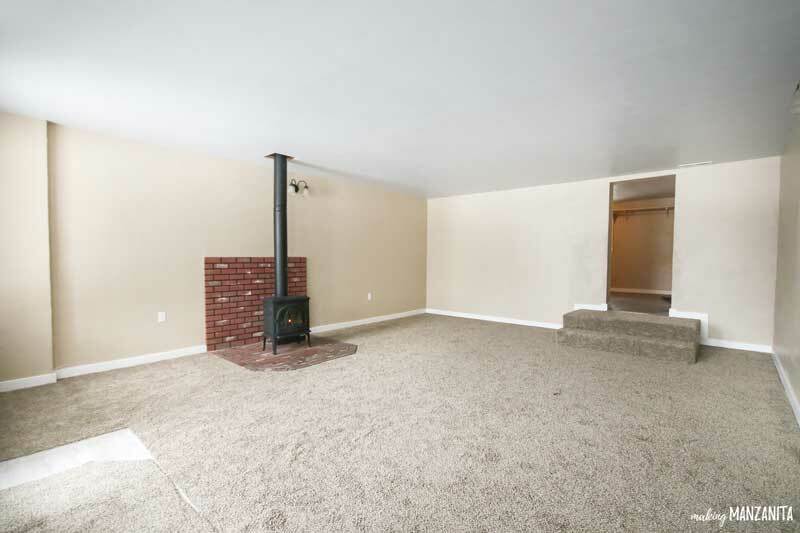 I am sad about you giving up your fireplace. Wishing u the best remodeling your home! Thanks! 🙂 I know I was bummed too…but we still have another fire place in the other living room. We couldn’t swap living rooms because our front door is in the other one and we couldn’t move the front door, hehe.